Well, thank you for pointing that out. I know I’m fat. I’ve been a hefty gal off and on for much of my life. But, when I get a bee in my bonnet, and I decide I want to learn something or do something, I do it. Hell, I took kung-fu for a year or so in the mid-90’s when I was fat. According to one observer I looked like a duck doing the forms, but hey, my kicks improved, my stamina improved, my flexibility improved and my jumping ability improved. My confidence soared. In 2006, I was a long haul truck driver. I had been one for almost four years. Being a part of the trucking industry certainly did nothing to help my waistline or my fitness level. I finally decided to do something about it. In four months, I went from only being able to walk five or ten minutes at a time to being able to walk a half marathon. And I lost 30 pounds, to boot. 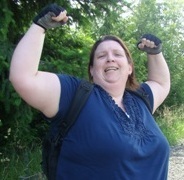 My attempt to walk America in 2009 caused me to lose 32 pounds from the walk and my training combined. Awesome! 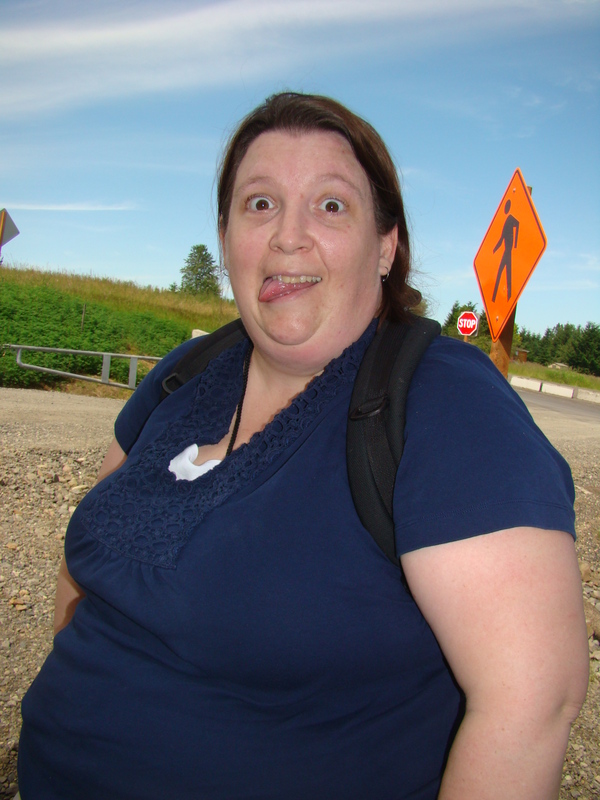 You’ll be happy to know that I’m not the first fat person to try to walk across America. Steve Vaught was over 400 lbs. when he decided to do it. He ended up having to do it in stages, but he finally succeeded. Gary Long weighed about 380 lbs. when he started out. He came really damn close to finishing his journey, too–within 300+ miles. Combined, both men lost hundreds of pounds. Unlike these two gentlemen, I am not starting out my trip because I want to lose weight. I know that if I want to lose it, I will. I have that ability. I’ve done it before. Life just keeps coming up between times and I pack it back on (pregnancies, truck driving, stress from work, stress from school, stress from hubby’s medical problems, etc.). Story of my life. I accept that. That’s up to me to change that, not some external event like a walk of this caliber. I fully expect that I will lose weight with my training and during the walk itself, yes. I’ve already lost 18+ pounds just in the last seven weeks by focusing on changing my eating habits and by training for the walk. But I don’t look at this as being my answer for weight loss and I don’t believe that my weight will slow me one iota during my trip. But all joking aside, as a fat person I am going to proceed with walking across America the same way a skinny person would. One step at a time.